Give yourself the gift of health, wellness and beautiful skin with an Advanced Laser Skin Center membership. Click for Details! Did you know that injectables are great for sculpting and correcting facial features and not just aging? Ask us today about Kybella treatment for submental fullness ($150 off), Botox, and filler for Lip lifts, Chin correction with filler and Botox to reduce cottage cheese appearance. Specials are updated each month. Click to learn more about our current promotions! 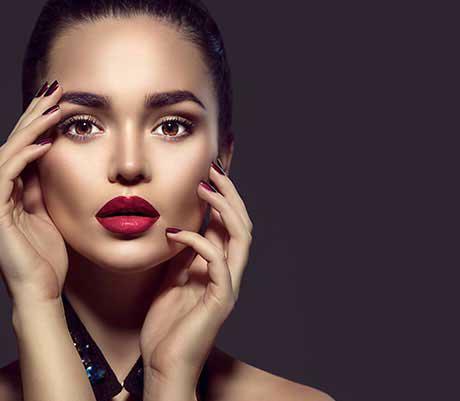 The skin care professionals at Advanced Laser Skin Center in Columbus, Ohio, offer medically sound and highly effective treatments to correct the appearance of aging, improve the texture and tone of skin, and sculpt bodies into an ideal shape. And it’s all performed in a spa-like atmosphere that feels more like a luxury resort than a clinic. The Advanced Laser Skin Center team includes Dr. David Garcia and Dr. Taj Rashid. These well-respected physicians specialize in anti-aging and regenerative medicine. They use methods that combine preventive measures to keep your skin healthy, such as a nutritious diet and daily skin care, with innovative, advanced treatments that safely restore and maintain the skin’s youthful vitality. Ilona Thomas, RN, is a prized member of the team as well, and has extensive and impressive experience in the medically-motivated skin care industry. Aestheticians Katie Tibbs and Marion Mastnick are also highly-trained professionals who fulfill vital roles on this patient-focused team, along with our front office client coordinator, Jamie. Their overarching goal is to provide only the best for their patients. The many services offered at Advanced Laser Skin Center are designed to safely and effectively improve your skin’s health and appearance. Body contouring with CoolSculpting®, vaginal rejuvenation with ThermiVa®, and liquid facelifts with Botox®, Dysport®, and other injectables are just a few of the services available. For skin care and fat reduction techniques that provide optimal results, call the center today or make an appointment via their convenient online scheduling service. "This place is top notch! A beautiful setting inside a convenient location." "Very accommodating to ones busy schedule, friendly knowledgeable staff." "The best skin treatment and staff i have experienced." "I have had several procedures and have been happy with my outcomes." "Beautiful facility, easily located and excellent staff and service!" ENJOY OUR REJUVENATING SKIN CARE MEMBERSHIP! Do you live with chronic pain and tense muscles? Does stress make it difficult for you to relax? Do you wish you could transform and rejuvenate dull, aging skin? If so, an Advanced Laser Skin Center membership could be right for you. • Monthly peels and your choice of microdermabrasion, dermaplaning, or microneedling, depending on your membership tier. • 10% off all services and products. Immediate family members enjoy a 10% service and product discount. Feel like having a "me day" come in for a gift certificate and have a day all to yourself or get one for a loved one! Spend $50, receive a $60 gift certificate. Spend $100, receive a $125 gift certificate. Spend $250, receive a $300 gift certificate. A monthly selection of treasures that includes a variety of skin care and make up products. It includes at least 4 (1 oz. or lager) products, gift items, and mystery products -- a $200 value! Members may enroll for the Beauty Box at only $40/month. Non-members may enroll for $55/month. Please call our office today for more details. "Highly recommend Ilona Thomas for any skin issue. She knows and understands skin better than specialists that I've consulted with because her results are 1,000 better." "I have been going to Advanced Laser Skin Center for now 5+ years. I have found Ilona and personnel very professional and supportive to my needs." "The staff is great! I have been very pleased with the results each visit. Very professional and genuinely care about the patients. One of the best in Columbus!" "Awesome professional staff! Very happy with procedures today!" "I had a tattoo that was 20 plus years old and they were able to remove it in two sessions, I would highly recommend this place." Membership is rewarding! Give yourself the gift of health, wellness and beautiful skin with an Advanced Laser Skin Center membership. Our membership offers a monthly service of your choice in the following: Micorderm, peel, or dermaplane! In addition to this monthly service for brighter, healthy skin, our membership offers many benefits. Become a member to take advantage of the many services we offer. Ready to share wellness and pampering with the whole family? Advanced Laser Skin Center offers family add-on membership at a low rate. More first-rate services at low membership prices equal greater savings for you. For more information about membership for you and your family, contact our office to speak with one of our helpful skincare professionals. We can’t wait to welcome you to the Advanced Laser Skin Center member family!